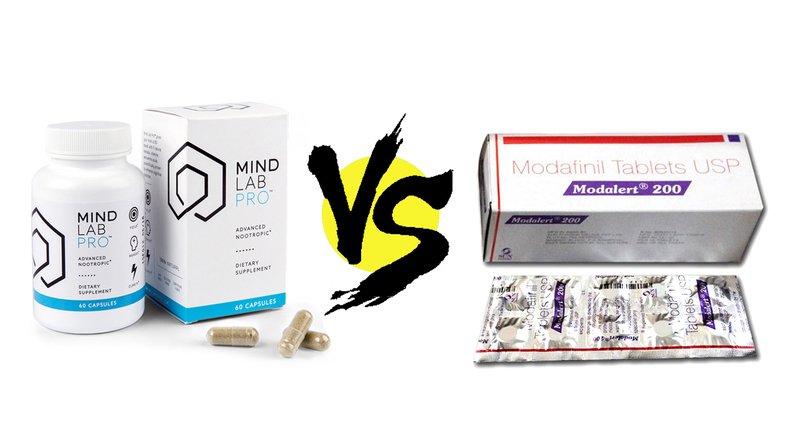 Mind Lab Pro vs. Modafinil pits bona fide nootropics against a prescription-only smart drug that, let’s be frank, many are likely taking both without a prescription and/or for non-prescriptive purposes. So, if not for prescriptive purposes, then what are all these smart junkies taking Modafinil for? More or less the same reason people turn to Mind Lab Pro: cognitive enhancement. Yet, it goes without saying: Mind Lab Pro is clearly the much milder cognitive enhancement option here. Just as Modafinil is the milder alternative to Adderall, which is the milder alternative to …what, meth? However, “milder” doesn’t necessarily mean “worse,” especially when it comes to brain health supplements. Perhaps the better term would be “more subtle”…? Perhaps. But never mind the semantics. Let’s get on with the Mind Lab Pro vs. Modafinil comparison review. Mind Lab Pro or Modafinil: Which is better? Mind Lab Pro is a dietary supplement. Modafinil is a pharmaceutical drug. To rank these items as even comparable is controversial within itself: Mind Lab Pro cannot substitute the Modafinil experience, nor does Modafinil come anywhere near Mind Lab Pro’s brain health benefits. Mind Lab Pro supplies 11 powerful nootropic herbal extracts and compounds, targeting and supporting all of the key cognitive bio-pathways essential to a fully optimized brain …and Mind Lab Pro does so without resorting to cheap stimulants or synthetic ingredients. All of the ingredients are nootropic. Meaning that Mind Lab Pro wastes no precious capsule on bunk-O, poorly researched ingredients or unsubstantiated “trend” items. There’s a purpose for each ingredient, and, impressively, each ingredient engages brain health and function in its own unique way, establishing a diversity of bio-effects that all contribute towards a shared goal: 100% brainpower. As a premade nootropic supplement, Mind Lab Pro has earned high marks in my book for its surprisingly simple, yet surprisingly comprehensive formula design. And by avoiding risky synthetics (even caffeine is missing here), Mind Lab Pro works as a solid daily stack option. Read my in-depth review on Mind Lab Pro. Diphenylmethylsulfinylacetamide, or Modafinil, is a (legally speaking) wakefulness-promoting agent, used (on-label) for the pharmaceutical treatment of sleep disorders, such as narcolepsy, sleep apnea, daytime fatigue, and so on. However, as the story generally goes, Modafinil seems better known for its off-label uses, most notably: making dat dere brain pop — i.e., enhancing cognition. Modafinil is one of the milder “smart drug” nootropics — “milder” as compared to the likes of Adderall, Vyvanse, Ritalin, etc. Yet, it still packs a stimulative punch, acutely jacking up the mind in temporary bursts, which is why so many non-narcoleptic users are drawn to this drug: it works hard and fast, and it feels pretty damn good. Yet, most (good) physicians are unwilling to prescribe Modafinil for “enhancement” purposes, which is why many users turn to Adrafinil, a legal alternative to Modafinil, which may be bought over-the-counter. [Take note: while Adrafinil is legal to use for recreational purposes, the drug shares a “banned substance” status with Modafinil. So, athletes beware.] Read my in-depth review on Adrafinil/Modafinil. Why work hard when you can work easy with smart drugs? B Vitamins (as BioGenesis™) – Supplying vitamins B6, B9, and B12, BioGenesis™ more or less covers the key B vitamins for boosting brain bloodflow, neurotransmitters, and mood levels. More on B Vitamins. Citicoline (as Cognizin®) – Two-parts choline and cytidine, citicoline is an awesome cholinergic nootropic, enhancing both cholinergic brain activity and ATP brain energy. Cognizin® is a well-researched, quality citicoline brand. More on Citicoline. Phosphatidylserine (as Sharp-PS® Green) – A key phospholipid in brain cell membranes, PS helps maintain membrane strength and fluidity, optimizing cell-to-cell communication while reducing neurotoxic levels. Sharp-PS® swaps the usual soy-derived PS for the cleaner sunflower-derived stuff. More on Phosphatidylserine. L-Theanine (as Suntheanine®) – A quality brand of an awesome anxiolytic nootropic, Suntheanine® promotes alpha brainwaves for a calm, creative mindset. More on L-Theanine. Plantcaps® Capsules – No junk additives or fillers in Mind Lab Pro’s capsules. Only the clean, green Plantcaps® here. Safe, Stimulant-Free – Mind Lab Pro eschews caffeine, synthetic drugs, and other “unnatural” nootropic forms for a more natural brain building experience. 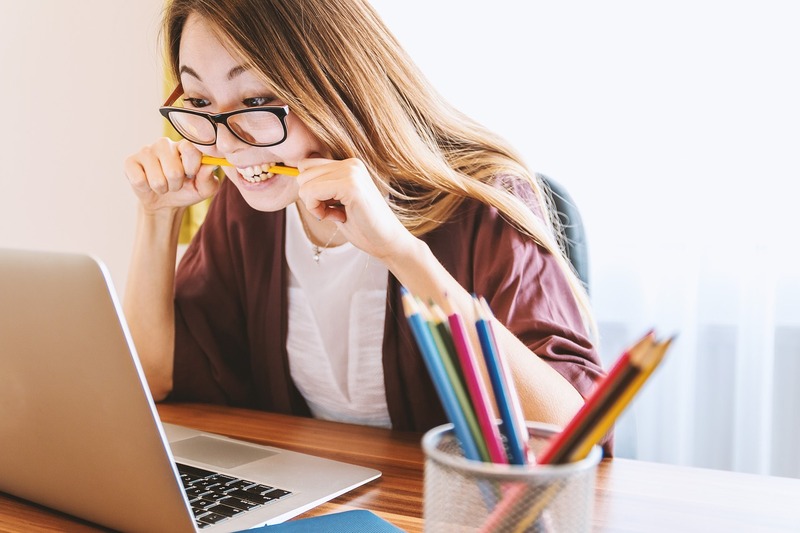 Generic vs. Non-Generic – Provigil is the most popular and most expensive Modafinil brand, yet there exists a number of cheaper, generic Modafinil options as well. Adrafinil – To curtail the prescription requirement, many users turn to Adrafinil, a legal Modafinil alternative (still banned for athletic competition), that metabolizes into Modafinil upon digestion. Various Dosages – Modafinil tablets generally come in 100 mg or 200 mg dosages. Prescription Only – Users not down for Adrafinil require a prescription to legally buy and consume Modafinil. Abuse Risk Potential – While not as bad as, say, Adderall and other more intense smart drug options, Modafinil does come with potential side effects, such as tolerance build-up, insomnia, loss of appetite, light-headedness… yada yada. Once consumed, Modafinil works by inhibiting dopamine and norepinephrine reuptake, sustaining the fight-or-flight catecholamine activity of a focused, energized mind. However, switching to Adrafinil slows down the process by however long it takes for Adrafinil to convert to Modafinil. Mind Lab Pro, on the other hand, supplies various nootropic ingredients, each with their own rates of bio-activity and noticeable effects. For example, Mind Lab Pro delivers a highly potent, high quality extract of Bacopa monnieri; yet, Bacopa requires more days of supplementation to reach peak effect than, say, Mind Lab Pro’s high quality L-theanine (as Suntheanine®), which acts right away. As such, Mind Lab Pro works best when consumed daily, whereas Modafinil essentially does the opposite: supplementing Modafinil everyday decreases Modafinil’s efficacy as the brain builds up a tolerance to Modafinil’s effects. So, yes, Modafinil packs a punch but only in spare increments. Mind Lab Pro’s potency and quality arguably increase over time. Frankly, there are too many variables involved in Modafinil pricing to estimate a standard Modafinil price. You have to consider: generic or non-generic? brand type? insurance or no insurance? pharmacy pricing? — which, according to GoodRx, of the top five US national pharmacies Costco provides the cheapest Modafinil prescription at $958.26 (100mg) and $1404.71 (200mg). Mind Lab Pro, on the other hand, requires no prescription, insurance, pharmacy visits, etc. And if you buy Mind Lab Pro’s 3 Bottle order option, you receive a free 4th bottle, as well as free shipping. Mind Lab Pro is safe, sustained cognitive enhancement. Taken over time, Mind Lab Pro only increases its impact on brain health and function, improving various measures of memory, focus, attention, and mental clarity with every daily serving. This is fundamentally what differentiates Mind Lab Pro, and other natural nootropic supplements, from your usual cadre of smart drugs: the enhancement of brain function via the promotion brain health. Smart drugs tend to do the opposite: enhance function via brain health demotion. Modafinil is short, unstable mental stimulation. As an “as-needed” option, Modafinil works. And it actually works very well, supplying reliable boosts on mental focus and energy for a predictable amount of time. However, the more frequently you engage Modafinil’s brain activation, the less stable its effects become, potentially contributing to a series of adverse health effects and, worse, addiction. Having said that, there are responsible uses for Modafinil (and Adrafinil). Yet, part of that responsibility involves recognizing the inherently risky design of this smart drug. Natural nootropics enhance function via structural support. Synthetic stimulants diminish brain structures via enhancement. Sure, the stimulant approach to cognitive enhancement makes a much louder, obvious argument for itself, one that’s made all the more self-evident by the stimulant’s quickness and power. Yet, if it’s long-term cognitive enhancement you’re after, then the more patient route is certainly the way to go. And as far as this comparison review goes, that route channels through Mind Lab Pro. If you you’d like to learn more about Mind Lab Pro and other information on Mind Lab Pro’s ingredients, hit the following link: Click here to learn more about Mind Lab Pro. I am Shahadot Hossain and I also using Modafinil. This drug has absolutely zero effect on me. I’ve taken doses from 50mg up to 400 mg and I don’t feel anything. I can take it and go to sleep immediately. For me, this is basically a sugar pill. I wish I had the great experiences others report, but I seem to be a total non-responder.